Accessing and logging into your storefronts Information you need to get the most out of your membership in AJIBOYE Monkey Business Agency's Management Partner Program. Partner & Profit to build your business. 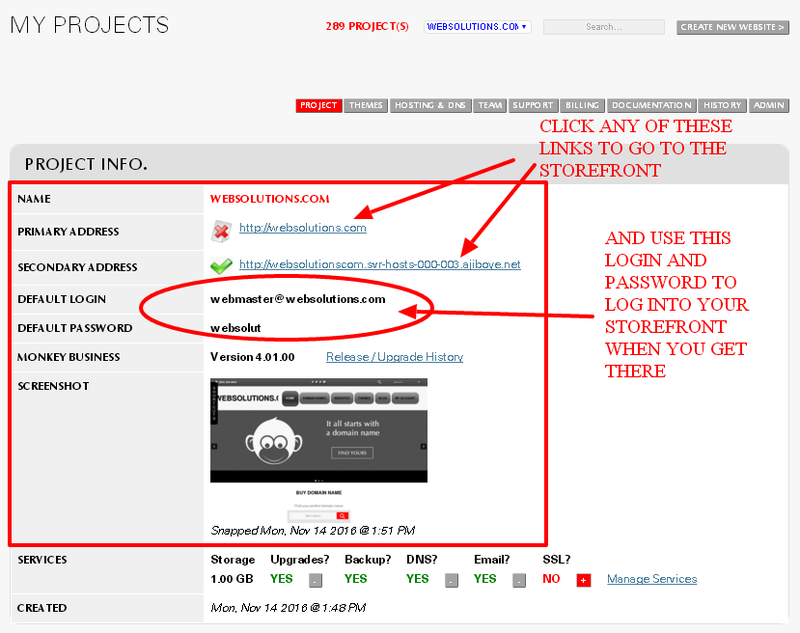 On My Projects, you are able to view all the details about your storefront, hosting, email, DNS and other services. Click on either the Primary or Secondary addresses / links to go to your storefront. You will need to setup DNS for your Primary Address to work. When you get there, you will need to login to make changes to it. On your website locate and click on any My Account link, and use the Default Login and Password to do so.